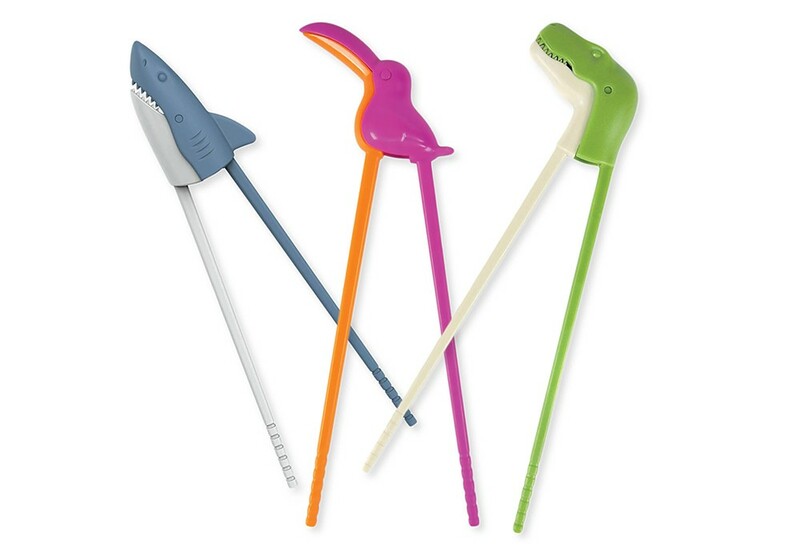 As if eating green beans wasn't enough fun already, along come these adorable Muchtime Chomping Chopsticks from Fred, a line of kitschy, yet useful housewares. If kids can pry these clever beginner chopsticks away from curious adults, they will love developing their fine motor skills at breakfast, lunch and dinner. Every time they squeeze the spring-loaded "chomper" chopsticks, their dining companion's "clashing teeth action" will commence, opening the plastic mouth to eat along with them. Rumor has it the alligator, toucan and shark all especially enjoy eating veggies. The chopsticks are hand washable for many meals of happy munching. $7, available at the Kitchen Engine, in the Flour Mill at 621 W. Mallon in Spokane.